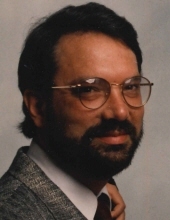 David James Shell died March 27, 2019. He was 62 years old. David was born June 8, 1956, in Royal Oak, Michigan, to Clarence and Jessie Shell. He is survived by his children, Matthew (Michelle) Shell and Meggan (Eric Dwyer) Shell, his grandchildren, Madison and Miles Shell, and his siblings, Ruth (Jerry) Lee, John (Donna) Shell, and Gary (Laura) Shell. David was preceded in death by his daughter, Mallory Louise (Max Schmidt) Fitzpatrick Schmidt. Born and raised in Royal Oak, David graduated from Kimball High School and went on to graduate from Lawrence Tech. For many years, he worked at Ford Motor Company. In his free time, he enjoyed coaching his children’s basketball, soccer, baseball, and flag football teams. He also loved animals, playing bridge, and hanging out at the beach; but his greatest joy was his children and grandchildren. A Memorial Service will take place at Lynch & Sons Funeral Home, 1368 N. Crooks (between 14-15 Mile Roads), Clawson, Saturday, March 30th at 5pm. Friends may visit beginning at 2pm. "Email Address" would like to share the life celebration of David J. Shell. Click on the "link" to go to share a favorite memory or leave a condolence message for the family.